Who doesn’t like to go shopping? When in vibrant Miami, these are the top four malls – the ultimate places to shop. Luxury shopping for your fashion fix. At 500,000 square foot of al fresco shopping, Bal Harbour Shops is a mega-size mall. It got the top spot as the most productive shopping centre in the United States based on average sales per square foot, according to Women's Wear Daily. This is Miami’s ultimate answer to your fashion needs and beyond. CocoWalk is South Florida’s premier open-air shopping, dining, and entertainment destination. The distinctive design of the Mall is created to blend seamlessly with Coconut Grove, the eclectic, eccentric, and exciting bay-side village known. Coco Grove is known for its one-of-a-kind boutiques, casual dining, and cosmopolitan movie theatres. With Bloomingdale's and Macy's as anchor stores, The Falls is one of the largest open-air shopping, dining and entertainment complexes in the US. It has over 95 stores, restaurants, cafés and the popular destination - Regal Cinemas. The infusion of nature’s elements in the Mall’s architecture - million-gallon waterscape and lush tropical foliage, makes it a shopping oasis. 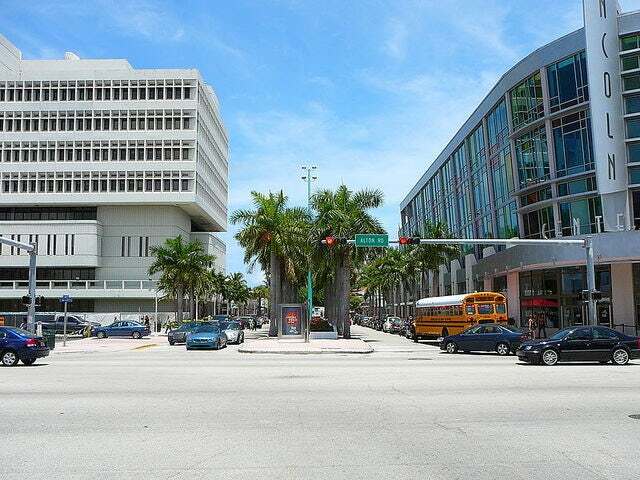 Between Miami’s Alton Road and Washington Avenue is Lincoln Road, a pedestrian mall. When you want to look for unique stores and unique items, with good choices for dining, Lincoln Road is the most practical choice. Imagine yourself taking a shopping break to dine amidst the pedestrian mall area, having a glimpse of people in their fashionable best. We’ll see you in Miami for some shopping extravaganza. Get started with your next shopping trip today!